The VIVA Curatorial School is a week-long programme with international curators and academics. It is intended for practitioners and students from a variety of related areas including curating, fine arts, art education, and history of art. As part of the second edition of the Valletta International Visual Arts Festival (VIVA), the Valletta 2018 Foundation in collaboration with St James Cavalier Centre for Creativity is presenting another edition of its Curatorial School, to take place from the 31st August till the 4th September, 2015. The weeklong programme with international curators and academics is intended for practitioners and students from a variety of related areas including curating, fine arts, art education, and history of art. Participants in the course will follow a programme of lectures, attend hands on workshops, and be able to present their own curatorial ideas during guided seminars. 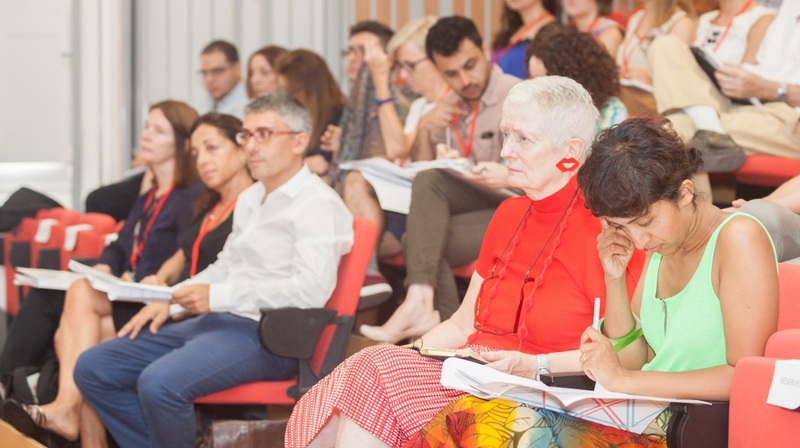 Lectures and workshops will be held at the University of Malta (Valletta Campus) from Monday 31st August to Friday 4th September between 9:30 and 16:00. Morning sessions will be dedicated to lectures, while afternoon sessions (held between 14:00 and 16:00) will be reserved mainly for small group seminars and workshops. The theme for this year’s programme is Curating: Communities and Contexts, and will deal with the relationship between exhibition, narrative and audience; contextual art; engaging audiences; socially engaged practices in contemporary art; art in public spaces; globalisation and the curatorial field. Some sessions will present individual exhibitions curated by guest speakers and international artists talking about their own practice. This year’s curators include Fulya Erdemci (curator of the 13th Istanbul Biennial), Simon Sheikh (curator and professor of curating at Goldsmiths in London), Mai Abu ElDahab (curator of Liverpool Biennial 2014), Paul Ardenne (art critic and curator of Luxembourg Pavilion at Venice Biennale, 2015), Bassam el Baroni (curator of EVA Biennial in Limerick, Ireland, in 2014) and Adam Budak (chief curator at the National Gallery in Prague). Other speakers include Lennard Dost (freelance curator and art critic, artistic director of Nieuwe Vide), Mare van Koningsveld (freelance curator), Libia Castro (artist), Ferhat Özgür (artist), Gail Feigenbaum (associate director at the Getty Research Institute), Leo Delfgaauw (scholar), Zineb Sedira (contemporary artist) and Iury Lech (director of MADATAC, Madrid). Participation in the course will be through a selection process while tuition fees for the course are low: regular applicants will pay €100 for the whole course while registered undergraduate or postgraduate students pay €50 (student identification required; Smartcard accepted). Prospective participants in the course must submit a filled-in application form, downloadable via the link: http://www.viva.org.mt/#curatorial-school and a recent CV by the 4th August 2015 at noon. Results will be notified by the 8th August 2015. For further information contact the Valletta 2018 Foundation on 356 21242018 or at [email protected].